We are a family owned business based in St. Paul, Minnesota with over 44 years’ experience in the overhead garage door industry. Offering high quality, faux decorative professional replacement and reproduction garage door decorative hardware products with the lowest prices on complete traditional Decorative Garage Door Hardware kits and sets in six colors and all with stainless steel fasteners. Garage Door Repair Minneapolis - St Paul Minnesota Metro! 612.568.5920 Fast Friendly & Affordable! All American Garage Door Co. Minneapolis / St. Paul. A+ BBB Best Reviews Online. Twin City's Choice for reliable, trustworthy, garage door services. Call Now! Phones answered 24/7 365 Open on Saturday NO extra Charge! *Master Authorized Clopay Dealer* IDC-Automatic Garage Door is a leader in high performance residential, industrial and custom garage doors for families and businesses just like yours. We proudly stand behind every door we manufacture and sell, from the classic wooden garage doors for a private residence to industrial garage doors for commercial properties. As you browse our profile, we hope you will begin to think differently about garage doors. With endless possibilities for industrial and residential garage doors, IDC-Automatic will quickly become your “Garage Door Place”. At IDC-Automatic garage door company, we provide the function and visual appeal you need in an overhead door. The function comes from our team of expert technicians, and the attractiveness comes from a huge selection of beautiful IDC-Automatic Garage doors. 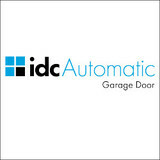 Founded in 1974, IDC-Automatic was created by Gerry Sizer in his home. Since those early years, the garage door company has grown through hard work and dedication. Today his children, Jodi Boldenow and Jeremy Sizer, have stepped into the roles of second generation owners. IDC-Automatic Garage Doors is a leader in high performance residential, industrial and custom garage doors for families and businesses just like yours. We proudly stand behind every garage door we manufacture and sell, from the classic wooden garage doors for a private residence to industrial garage doors for commercial garage door applications & properties. 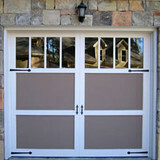 We offer a large selection of garage doors because we know you have unique needs and wants for your home or business. A vast selection delivers choices that help you find the best fit. We also offer general garage door service & repair to address any issues you may have with your garage. Problems with a garage door can create a serious slow down for your home or business. That’s why we respond urgently to calls for service and repair. Our team of technicians can diagnose any problems you’re experiencing, provide expert guidance and recommendations, and then quickly execute the appropriate service or repairs to get you back up and running again. Central Minnesota's Leading Supplier & Installer of Garage Doors & Openers - We welcome you home with style! Locally owned by the same family since 1972, American Door Works is the leading supplier of garage doors, openers, specialty doors and loading dock equipment in central MN. 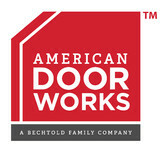 Whatever your door needs - commercial, residential, new doors, parts or service, American Door Works does it all! Home and garage storage can be a challenge and finding a solution that is both high quality and affordable can be an even greater challenge! Till now… Great Garage Floors has partnered with Redline Garagegear to provide you the ultimate solution to your storage needs. The storage lines available provide you with a custom solution that won’t break the bank and in fact add value to your home. Many off the shelf and do-it-yourself solutions are flimsy and poorly made. They are often not designed for the radical swings in humidity and temperature often found in the upper midwest climate. This can be very hard on standard wood or particle board. Redline Garagegear storage cabinets are designed and built specifically for the garage environment. These garage cabinets offer features competitors can’t touch…superior finish, more cabinet and color choices, off-the-floor design, industry-leading warranties and more! Powder coated exterior surfaces withstand the temperature and humidity extremes found in most garages, resist dents and chips and clean with simple household cleaners. With more than 400 cabinet choices and twelve colors to select from, you’ll be sure to find something that fits your garage and your tastes. In addition to the amazing cabinets, counter tops, drawers and specialty solutions, we also offer slat wall and hanging accessories. Slat wall gives you the flexibility to organize almost anything and get items off the floor. Slat wall is great for hanging and organizing lawn and garden tools, balls, paint cans, shoes, bikes, golf bags, ladders, cords and hoses. There are also a variety of shelves and baskets for smaller items. If you are installing a new floor in your garage and want to add storage too, please ask about a package deal. We will often work out a price break for those looking to kill two birds with one stone. Call us 952-473-8600 at or request a price quote today. We will be happy to arrange for a free consultation and show you the quality and options available. Midwest Molding & Garage Door Co. Inc. has been servicing the garage door needs of the Twin Cities area for over 38 years. I chose to work in this industry because I truly enjoy helping customers find the best solution to their garage door and opener needs. I love working in Twin Cities because Reason You Enjoy Working There. We started in this industry in 1983. We describe our business as Family owned and operated Our focus on customer satisfaction has earned us some of the highest ratings from HomeAdvisor customers, a homeowner to home improvement contractor referral service. MN Garage Door 4 Less offers garage door service in the greater central Minnesota areas. With over a decade of experience, your new garage door will look good and function reliably. With a whole range of popular and modern garage door brand name products to choose from, you are sure to find what you need at competitive prices and fast, friendly service. The most popular type door is the rail type, but also available are a selection of overhead, canopy, up-and-over, swing, roll-up type doors and more. Custom colors to match your home are also available for fast service. In addition, you can choose from a wide selection of electric openers. Garage Door Repair Brooklyn Park is an outstanding choice for the maintenance and replacement of electric garage doors and parts. It's known for its skills in Minnesota and ability to fix opener problems efficiently. We work with you to create and build your custom garage door for your home. We will be in constant communication with you throughout the entire process to ensure you 110% happy with our work. We look forward to working with you in the near future! Aker Doors is confident that we offer more than our competitors in product, our hands on personal experience and dedicated service to you our highly valued customers. We here at Aker Doors welcome the opportunity to serve you with any of your garage door needs. Whether it may be service, spring replacement, garage door openers or a complete door system you need, our professional staff is here to help you. We offer complete professional installation for our products or, with our educational approach, we’ll teach you how to take the project on yourself if you wish. We’ve tried to make our web site as complete as possible to answer many of your questions. We want you to make the most informed decision possible when shopping for garage door products or services. What kind of services do Blaine, MN garage door dealers and installers provide? Garage door professionals specialize in the selection and installation of residential garage doors and openers that fit your budget, style and needs. This includes choosing a garage door style — or designing a custom garage door — that blends in with your home’s exterior, selecting materials, determining a technological system that supports your security and access needs, determining proportions and dimensions, finalizing decorative designs and ensuring that everything meets Minnesota compliance and building codes. Find garage door sellers and installers in Blaine, MN on Houzz. Narrow your search for Blaine, MN garage door sellers and installers by selecting the nearest city or zip code. Look at portfolio and product photos, and read reviews to find the best Blaine, MN garage door professional for your home.